Scientists just condensed thousands of studies into one report. Over the past several years, more and more states have legalized the use of marijuana, whether for medical or recreational purposes. Cannabis also comes in stronger varieties and in more varied forms now than ever before — as oils and leaves that can be vaped or as edibles such as cookies or cannabis gummy bears. Given the drug’s development both legally and physically, it’s about time we find out what can be conclusively said of its health benefits and risks. The National Academies of Sciences, Engineering, and Medicine released a 337-page report Thursday to that effect. After analyzing more than 10,000 studies about marijuana, the researchers say that conclusive evidence is still hard to come by, even given the reported increase in the drug’s usage —according to a survey, some 22 million American adults said to have used the drug in the last month. We still need “far more information,” Marie McCormick, chair of the NAS committee and professor of pediatrics at Harvard Medical School, told Shots. But this information is difficult to gather given that marijuana remains classified as a Schedule I substance by the DEA. 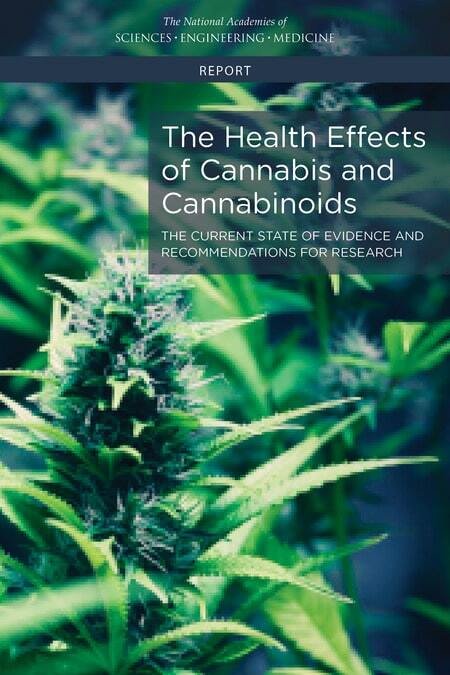 The report summarizes the associated health benefits and risks that come with cannabis use. It highlights only a few health benefits, such as “a significant reduction in pain symptoms,” with “substantial evidence” of improving the symptoms of muscle spasms related to multiple sclerosis. It also states “there is conclusive evidence” that oral cannabinoids prevent and treat chemotherapy-induced nausea and vomiting in adults. Of the health risks, the study looked into quite a number. They found that there is no evidence that it leads to cancer in the same way that smoking tobacco does, but “some evidence suggests smoking marijuana may trigger a heart attack among individuals with diagnosed heart disease.” Pregnant women who take cannabis risk producing offspring with lower birth weights, and evidence suggests that regular marijuana smoking can induce more frequent chronic bronchitis and worse respiratory symptoms, the report says. As far as links between cannabis usage and injury or death, the only ones mentioned in the study are in cases of driving under the influence or in situations where a young child ingests a large amount of the drug accidentally. While the report does cover a good number of studies, a lot of research remains to be done, according to McCormick. Rigorous study is of the utmost importance now more than ever given the trend toward marijuana legalization.